Spring and Summer are beautiful seasons for many people, but for those who suffer from seasonal allergy symptoms, these seasons can bring challenges to their health. 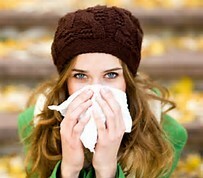 Diet and seasonal allergies medication can help lessen the symptoms to stop seasonal allergies. Seasonal allergies treatment can also in some cases, prove to be more effective than over-the-counter allergies medications. Seasonal allergies are mainly caused by pollen from fresh cut grass, weeds, blooming trees, and flowers. Estimates of 40 to 60 million people are affected yearly, according to the American College of Allergy, Asthma, and Rhinitis. The most common and prevalent type of allergies is allergic rhinitis. Which refers to hay fever and seasonal allergies that occur not only in spring but also in summer and into the fall (1). Seasonal allergies affect some individuals, but not everyone. Some people can be affected by pollen from cottonwood trees; others from ragweed, so it is vital to pay attention and recognize what causes your allergic reactions so that you can take action with seasonal allergies treatment. Some individuals may also experience allergic reactions from certain foods like melons, cucumbers, chamomile tea, processed foods, peanuts, shellfish, wheat, soy, chocolate, alcohol and caffeine and zucchini. This is common among the individuals who have a ragweed allergy. If you have ragweed allergies or any other form of seasonal allergies, avoid foods listed above (2). During Spring, any food that you are allergic to should be avoided if your desire is to stop seasonal allergies, even if you do try naturopathic remedies or seasonal allergies medication. There are some foods to enjoy during allergy seasons that help in relieving allergy symptoms and strengthening the immune system. These foods include local raw honey, bone broth, probiotic-rich foods, apple cider vinegar, fresh organic vegetables, pineapple, wild-caught fish, free-range poultry and grass-fed meats, if you’re a carnivore, of course. Raw local honey is the best reliever of the allergic reactions in my personal experience because it has local pollen that causes allergies (3). I give this to my husband and kids during the winter months and by Spring, they experience very low to no allergy symptoms. It’s amazing! It is recommended to take a couple of tablespoons a day. They only took 1 teaspoon a day from September through April when they would first start feeling symptoms of allergies. Bone broth can be from lamb, beef or chicken; it aids to ease respiratory problems and help to remove excess nasal mucus. Hot and spicy recipes from onion, garlic, cinnamon and cayenne pepper thin mucus and allow it to be easily expelled. Probiotic foods help to build healthy immune system, increase body metabolism and energy and improve the gut system. Enzyme Bromelain, vitamins B, and vitamins C help to reduce seasonal allergies reactions. Apple cider vinegar aid in boosting the immune system breaks up mucus and maintains lymphatic drainage. Organic veggies like Swiss, beets, carrots, and yams that are high in quercetin help to fight seasonal allergies. Clean proteins like grass-fed meats, wild-caught, free-range poultry are rich in omega-3s, proteins, and minerals that improve the immunity. Neti Pot- use of the Neti Pot after exposure with an allergen or during allergy season can be a very effective way to flush out mucus and nasal congestion. Essential oils- use of diffusing essential oils like lavender, menthol, eucalyptus and peppermint oil are necessary to open the nasal passages and lungs, dismiss stress, and improve blood circulation. Acupuncture- according to a small study that was published in the American Journal of Chinese Medicine, acupuncture relieved season allergies symptoms in 26 patients and without any side effects. It is advisable before you commence use of acupuncture, to meet with an acupuncturist (4). There are lifestyle changes to practice during allergy season like staying hydrated, limit exposure to pollen, and shower before bed to remove dust and pollen, frequently wash clothes and beddings, wipe down pets that spent much time outdoors, use hard surfaced flooring instead of carpet, de-clutter and always keep doors and windows closed. I’ve listed allergies supplements or natural seasonal allergies medication we’ve tried in our own family that has helped us. You can find these here. What natural remedies for seasonal allergies have you tried that is very effective? Please share!